We have seen many WordPress themes that offer the best features & functionality for the websites, but do they all worth our website? Let’s figure it out from one theme which has 1k sales per month. Here you will find the best review about the advanced WordPress theme that is ” The7” which is a responsive multi-purpose WordPress theme that can be used on any websites related to foods, online shops, personal or business, fashion, designs, beauty, digital agency, freelancer, hotel, portfolio, photography and much more. This theme comes with 30 pre-made dummy websites that complete with exclusive slider revolution and visual composer. The7 is a fast & quick responsive theme on mobile, desktop, tablet & other devices which is one of the best quality of this theme. 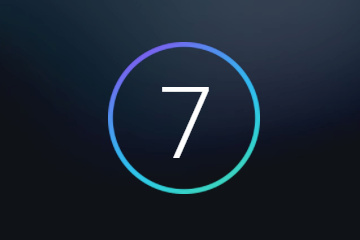 The7 is the theme which is designed and made by an international web-design & development agency called ” Dream-Theme“. This theme is powered by Elite Author and it is known as one of the most sold themes by the developer. Dream-theme has 10+ years experience in web designing and they provide great customer support with detailed information. They have made 23 themes currently and all of them have good ratings, overall dream-theme has 4.77 rating out of 5 which is great as we can see their works are really impressive. In total dream-theme has made 114,597 sales and they have 2844 followers. With the help of this feature, you can easily install plugins & pre-made websites just with one-click. 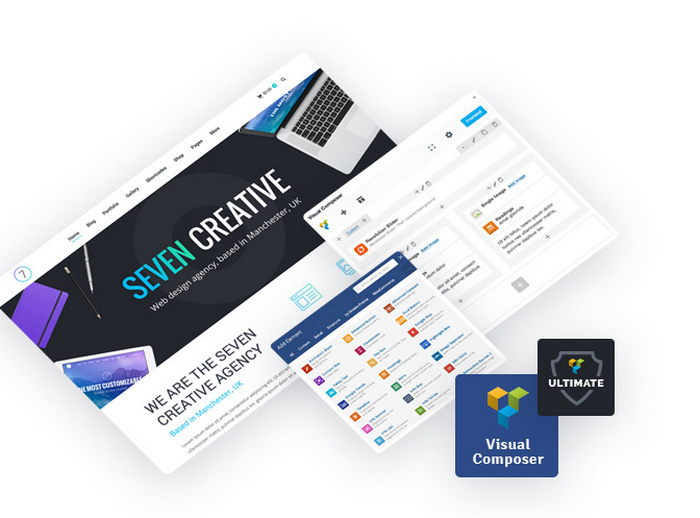 The7 has other mind-blowing features like Visual composer & Ultimate addons, 750+ theme options, one-click demo import, rock-solid 5-star rating, slider revolution, WP 6 layer slider, multilingual & translation ready, The7 elements, SEO-Ready & Mobile Friendly, Unlimited Headers, regular updates, unlimited header layout, mega menu, 100% WooCommerce Compatibility, browser compatibility, high-level support, WPML integration, bbpress, gravity forms, easy digital downloads, WP easy cart, events calendar, events calendar pro and bootstrap etc. 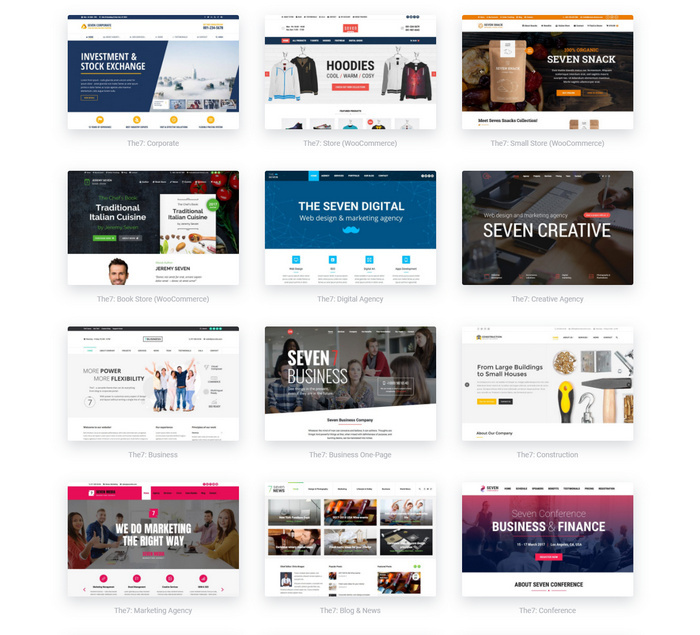 The7 offers 20+ pre-built website designs with exclusive slider revolution and visual composer templates. They all can be imported in a few clicks, mixed and matched to become a solid foundation for the website. The designs they provide match well for blogs, business, digital agencies, e-commerce, restaurants, magazine, news, portfolio, photography and landing pages. All themes come with a blog feature that lets you reach a wide audience through your articles. There are also specific mind-blowing blog & news layout designed by The7 which is responsive in design & fully functional. The design is fit for beauty, business, world news, lifestyle, and hobby etc. 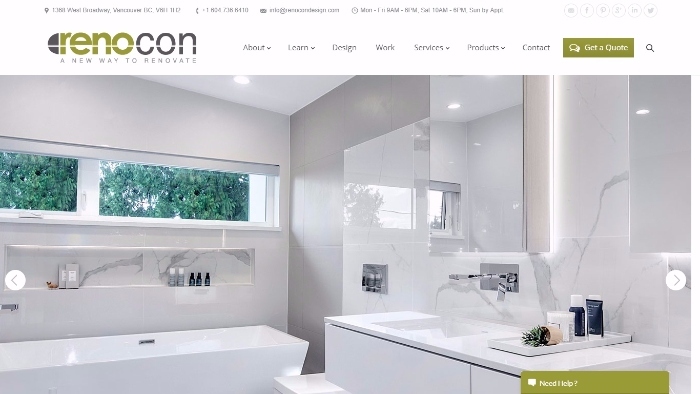 There are some great business theme styles listed on the demos which can be used to built websites like the law firm, medical clinic, hotel, construction, investment & stock etc. There are 5+ responsive design demos available that can be used to create websites with a minimalist interior, modern corporate identity, fashion photoshoot, digital marketing, and brand management etc. Quick start your store with the help of 3 e-commerce responsive theme demos available which have Woocommerce integration. Sell all kinds of products like T-shirts, clothes, shoes, digital goods, and hoodies etc. Restaurant is an amazing theme sample provided by The7 team with a separate menu and events section. In the menu itself, they offer summer specials & main courses that will be attractive and colorful to see. Some of the themes provided by The7 offers portfolios for commercial, design & packing purposes and it includes a perfect image which exposes the work. The7 provides a responsive theme called “photo studio” which has some amazing professional studio & other services. There are 2 landing page websites i.e mobile app and product, which are offered by The7. They give options to download, choose, edit & share topics or images. 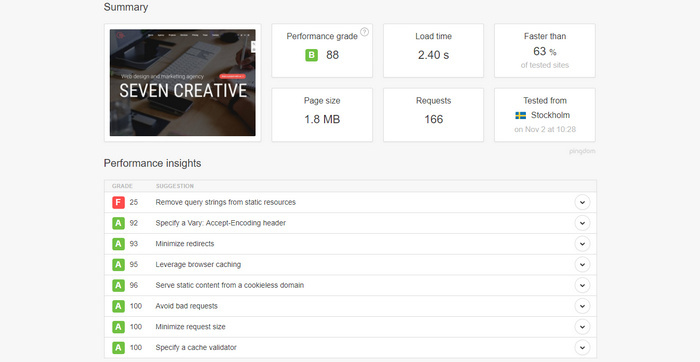 Here we used the creative agency theme to test the performance of the theme via Pingdom tool. With the help of Pingdom test, you will be able to find performance grade and loading time. In the below-shown screenshot, you will be able to find all the information on speed & performance. The Google PageSpeed insights shows a rating of 82 for desktop and 62 for mobiles. Go through the below-shown image to find out all the possible optimization details. Apart from the render blocking scripts used in the theme all the possible optimizations listed by the PageSpeed services depend on hosting. 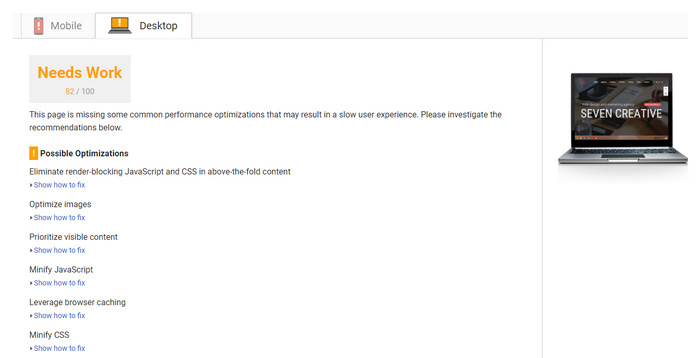 So by using a free WordPress caching plugin(W3 Total Cache) you can get even faster page loading speeds. The main plugin of this theme is the Visual composer along with Ultimate addons. Visual composer is the most advanced feature-rich drag & drop page builder on the market and one of the most popular WordPress plugins ever. On the other hand, Ultimate add-on for visual composer will provide several premium elements in the visual composer on top of the built-in which is given by WPBakery. The plugins which The7 offer includes visual composer, ultimate addons, WPML, Woocommerce, bbpress, gravity forms, easy digital downloads, WP easy cart, events calendar, events calendar pro etc. Here are some beautiful & responsive websites using The7 theme for their business. 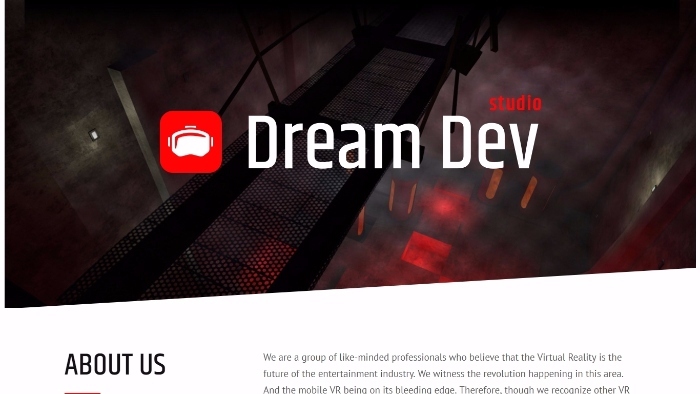 Dream dev is the website which is using The7 theme. This is a creative agency website with a team of highly experienced professionals. The team of dream-dev has 8 to 15 years of experience and they developed 25+ mobile games & apps. Dream-dev has already made 10000000+ downloads. Akotherm is a responsive website which is made with The7 theme. 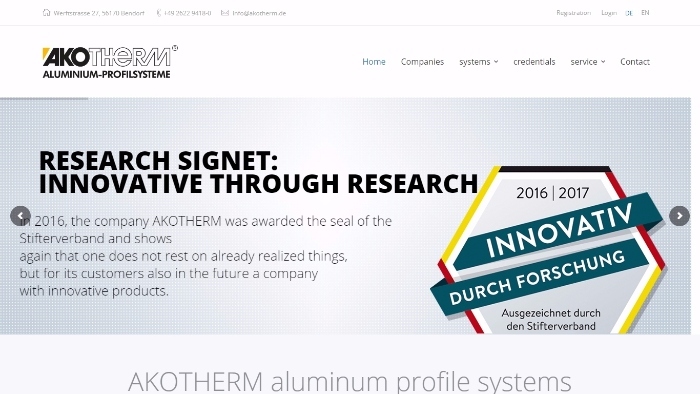 This is a website based on Aluminium-profile system for windows, doors, facades, and conservatories. Online support from this team is also great and the website is easy to load up on mobile & other devices. Renocondesign is a renovation and construction design center. This website is very responsive on mobile, desktop and tablet devices. They provide very good support & assistance. They will provide their information & knowledge on construction with a detailed description. Mark Seymour is an awesome wedding photographer and this is his website with his past works & portfolios. 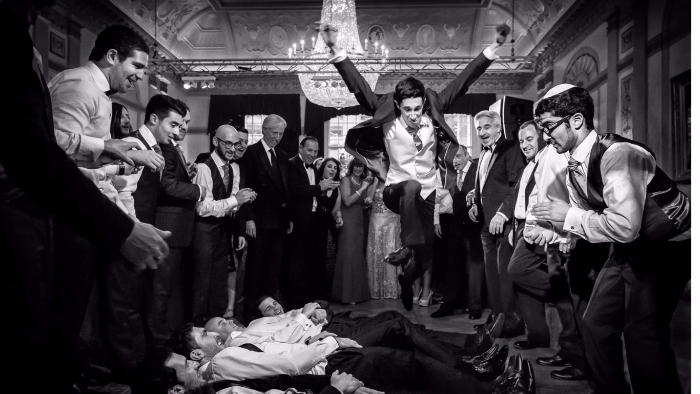 Mark Seymour is an award-winning documentary wedding photographer and he was appointed as the first Wedding Photography Ambassador for Nikon at UK. The7 offers extensive documentation and premium class support for free. It provides knowledge-base, the interactive troubleshooter and a premium-class customer support service that is always there to help. Usually, the Support requests are being processed on business days from 8:00 to 17:00 (GMT 0.0) within 24hrs from the time the order they were received. Sometimes too many options can cause complications for beginners and even advanced users. Some of the themes in The7 are a bit outdated with current design trends. What I personally felt is that “The7” is a responsive and an outstanding theme because this theme has made its mark with a massive number of sales. The support offered by The7 theme is awesome which is an added advantage. Customer satisfaction is met for every sale made as you can see the excellent overall rating for the theme “The7”. The multi-purpose theme functionality lets you create any type of website in just a few clicks. Overall the theme is worth every penny and you can purchase it without any doubt.